Are you a girl aged 8-13 years old? Join Lex Albrecht and other professional female athletes and Olympians for an afternoon of empowerment through sports in Montreal, Québec! 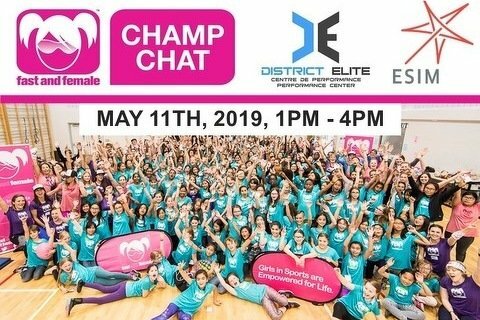 This Fast and Female Champ Chat includes an inspirational Chat and Q&A with Fast and Female Ambassadors, yoga, autographs, and more! Participants will enjoy high-quality face-to-face time with female athlete role models.